Ближний Восток и Северная Африка, Виртуальный музей декоративно-прикладного искусства Востока, Колье, подвески, амулеты, Африканские и арабские украшения, Марокко и Западная Сахара, Ожерелья, бусы, колье, подвески, амулеты. Марокко, сефарды, первая половина или середина 20 в. 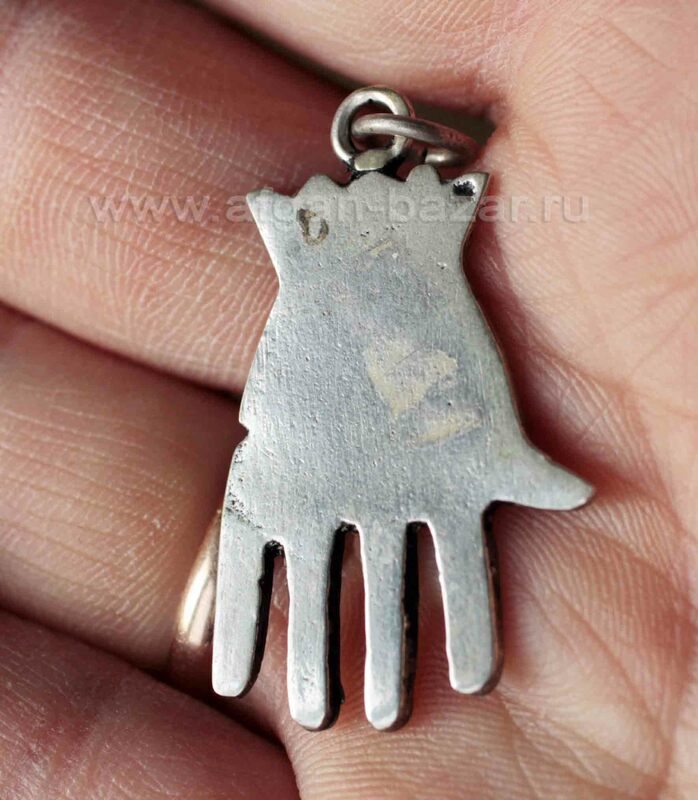 This is one of the oldest kinds of amulets in the Middle East. 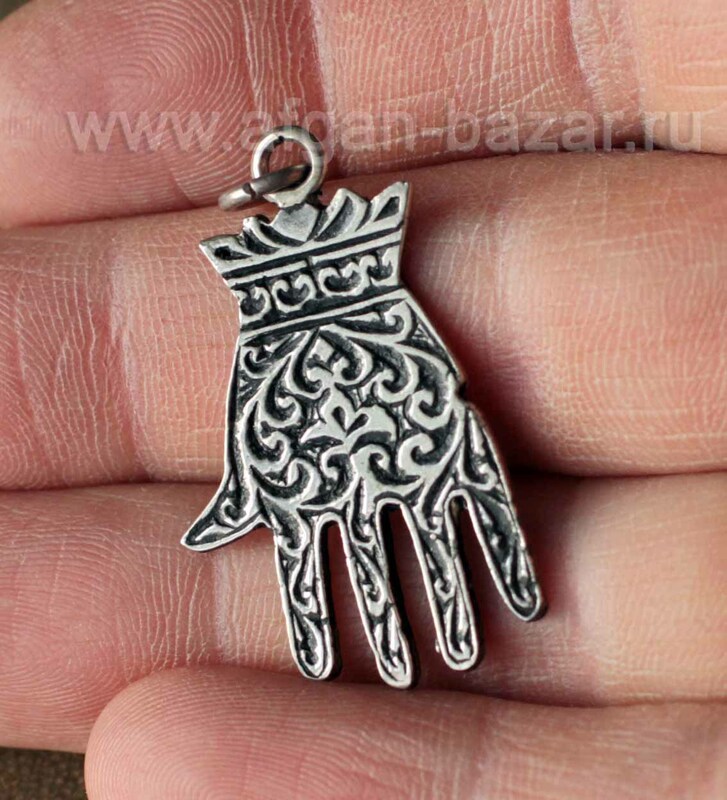 In Islamic tradition this amulet sometimes called the "Hand of Fatima" and is associated with memory of the daughter of the Prophet Fatima. More often about it just say "Hamsa" ("five", Arab.). 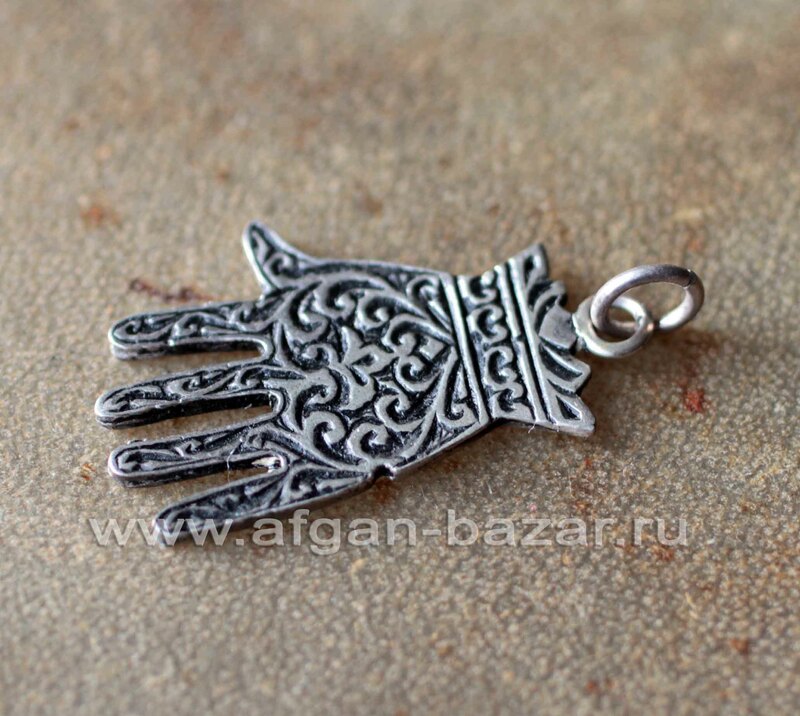 The esoteric meaning of the hand with five fingers is associated with the "five pillars of Islam" - the five obligatory for every Muslim action or obligation of five times of prayers throughout the day. 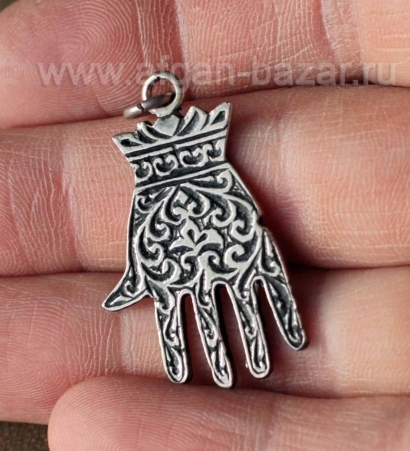 Ordinary people gives this amulet protective powers from the evil eye and evil spirits. This is a very ancient tradition in the countries of North Africa and the Middle East to leave hand prints on the walls, and especially the abandoned buildings that there is no settled demonic entity . 1. Francis Ramirez, Christian Rolot/ Bijoux du Maroc. / Ramirez F., Rolot C. - Paris: ACR Edition, 2002. – p.96. 2. Anne Leurquin. A World of Neckleaces. Africa, Asia, Oceania, America from Ghisels collection. / Anne Leurquin – Milano: Scira Editore S.p.A. 2003 – p. 24.